Betty's Bay a small hamlet on the south coast of the Western Cape is built between the mountain and the sea.In the 1930”s it used to be a whaling station and one can still see part of the old slab where the whales were dragged out of the water to be cut up. Today the little hamlet is full of holiday homes as it has some superb beaches along its coastline. To the west of the village is the Harold Porter Botanical Gardens which stretch up into the Kogelberg Mountains behind them. The garden is filled with indigenous flowers, lawns and trees. 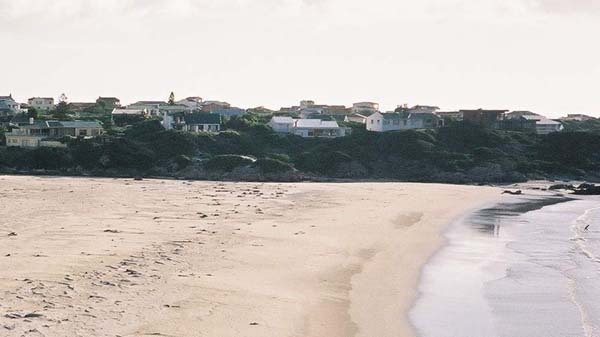 The village itself has many lakes, pathways, beaches and gullies to explore and is rich in Fynbos. The proteas being one of the main types that grow there. Further west is Pringle Bay another small village with its beautiful sandy bay. 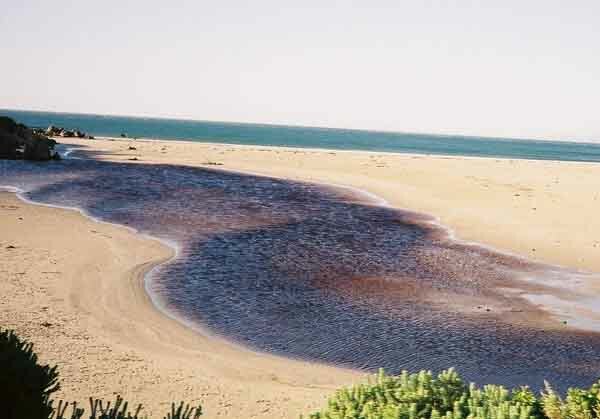 At the end of the beach the Buffels river flows into the sea. On one end of the beach a small peninsula juts out into the sea to form the bay. Pringle Bay was named after Sir Thomas Pringle who was the Naval Commander in Chief of the Simonstown Naval Base across False Bay. It was the intention of Pringle to turn this area into a garden to supply the Naval base at Simonstown but fortunately this never materialised. 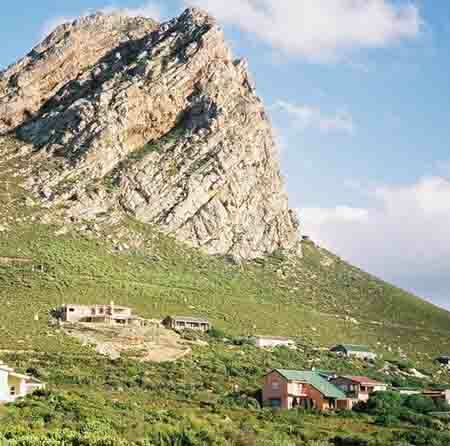 A short distance away is another village named Cape Hangklip with its hotel and a few holiday houses. The hotel is well known and one has but to visit the bar to hear the stories from fishermen about the one that got away. Rooi Els another small village on the shores of False Bay is situated in the valley next to the mouth of the Rooi Els river and under the overhang of a mountain peak which towers above the village. This village is full of holiday houses and its main claim to fame is fishing and nature. The coastline is very scenic, much the same as the Hout Bay/Chapman's Peak coastline. The wind however is very strong and one should ensure that things are tied down ( especially ladies with wide skirts) when venturing out for a walk. A visit to this coastline is a must, even if you don't like wind.